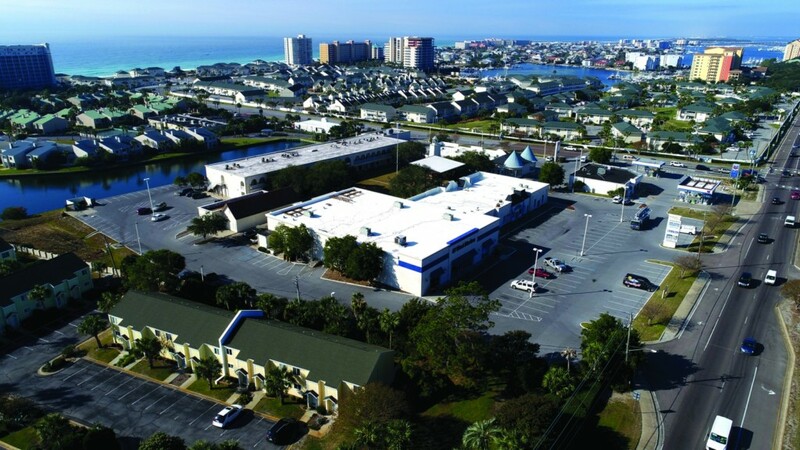 Shoreline Village is a 70,000-square- foot, neighborhood retail and office complex located in Destin on the corner of the U.S. Highway 98 (traffic count of 51,000 +/- cars per day) and Gulf Shore Drive. Destin has an average household income of $82,427. This shopping center is accompanied by several national retailers in the area, such as Target, Walgreens, CVS, Winn-Dixie, Jimmy Johns, The UPS Store, McDonald’s, Jersey Mike’s Subs and Krispy Kreme. Co-tenants in this shopping center are West Marine, Capriccio Café and Bric å Brac Restaurant. High traffic counts and great visibility make this premier location ideal for your retail business. Significant signage available on street pylon and building.